Much of the Bay Area, packed densely with people, perforates with light-emitting devices after sunset. When a volume avoids that, there’s a story and an active effort by conservationists behind it. 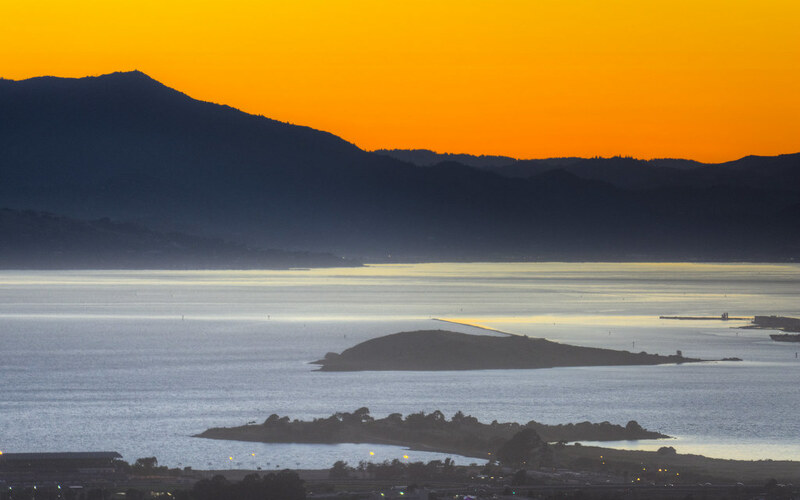 At either extreme of this picture, Albany and Marin fall clearly into light-emitting category. In between, however, are special spaces: the Albany Bulb in the foreground and the Brooks Island Regional Preserve (the titular island). Thank you! We’ve have some really exception sunsets as the sky changes into summer. Thank you for the links to the two East Bay sites. I don’t travel to the East Bay often but I really do need to get there more often.